California is usually on the cutting edge of things such as clothing styles, car emissions and safety regulations, healthcare, medicinal marijuana, fine wine, and the list goes on and on (which is to say that I can't think of other examples at this moment). So with their trend-setting reputation, and my knowledge that - other than the time of day - most things move west to east across the United States, it was surprising to find this weekend that California is considering a boating exam program. As a Connecticut Yankee in Long Island Sound, having to take a course and pass an exam before becoming a boater seems second nature. In fact, the law has been around so long in CT that I often forget that the rules are different in each state and that the Nutmeg state on the east coast is actually ahead of the curve for a change in this instance. In fact, California is one of only 13 states that does not require training to operate a recreational boat. What's your state's status? 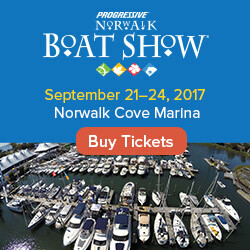 Check FirstBoat.com's boating by state tool. Will the California law pass? Probably, because boater education saves lives. The State of Florida's statistics tell me so. If you live in California and have to take an exam, will YOU pass? 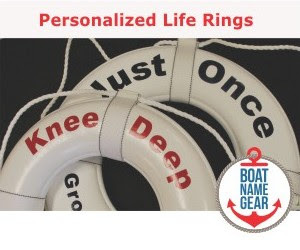 Probably, because the individuals who teach boating courses are usually passionate boaters who want you to be safe on the water, so they'll teach you what you need to know to be safe - and to pass the course. Read about the proposed California boater exam, and vote your opinion, here.